Since moving to Nashville just a couple months ago, our time of "settling in" hasn't been the easiest. We knew it would come with challenges, but we could never have anticipated some of the craziness we've encountered. While my husband's job search continues (prayers appreciated as always!) we have started to hit a stride of "normalcy" in settling into our new home. It's a great feeling! As I was laying in bed a few nights ago, I did what I usually do when I can't fall asleep: I counted my blessings. This has become an effective "default" for me to turn to in the wee hours of the morning, always helping me focus on the goodness and faithfulness of God instead of the worries that too often plague my thoughts at such a vulnerable hour. Just as I was telling God how especially thankful I was for my daughters, that they are both healthy, and sound asleep in their beds, my heart began to swell with gratitude. Indeed, we do have much. Then, I began to pray for a job for Josh. Again. I mean, I can't tell you how many times I have to surrender this request to God throughout the day. Please, please, please Lord, please use his talents in work that would bring you honor and please let someone call him soon with an interview, and please let it be the perfect job for him! Please! Right then, right in the middle of my appeal, a voice of doubt interrupted with, "Who are YOU, to be asking for MORE? How can you list all that you've been given and then ask for MORE?" I paused for a moment. Then, in what I can only describe as a "Holy Ghost moment" a new thought, armed with the truth of Christ, refuted with authoritative clarity: How? How can I ask for more? Because I worship the GOD OF EVERYTHING. I was stopped in my tracks right then and there. Peace rushed over me as I continued my prayer to ask God for a job for Josh. And then, I just laid in bed and pondered the truth that was spoken through me. I worship the God of everything. He isn't just the God of things that go well. He isn't just the God of healthy babies, sleeping husbands, and safe apartments. He isn't just the God of my school work and good weather. He isn't just the God of my gratitude. HE is the God of MORE. When you worship the God of everything - it's okay to never run out of requests. It's not only okay - it's awesome! He wants you to come to HIM for everything. My doubts and frustrations and worries can interrupt my focus so many times. There's plenty to distract me from the truth that God is in control and hasn't forgotten about our needs. But, the reminder that I worship the God of everything is, indeed, ALL I need. It certainly helped me that night as I drifted off to sleep. Turns out, the armor of God makes for pretty comfortable pajamas. Ephesians 6:10-18New International Reader's Version (NIRV)God’s Armor10 Finally, let the Lord make you strong. Depend on his mighty power. 11 Put on all of God’s armor. Then you can stand firm against the devil’s evil plans. 12 Our fight is not against human beings. It is against the rulers, the authorities and the powers of this dark world. It is against the spiritual forces of evil in the heavenly world. 13 So put on all of God’s armor. Evil days will come. But you will be able to stand up to anything. And after you have done everything you can, you will still be standing. 14 So stand firm. Put the belt of truth around your waist. Put the armor of godliness on your chest. 15 Wear on your feet what will prepare you to tell the good news of peace. 16 Also, pick up the shield of faith. With it you can put out all of the flaming arrows of the evil one. 17 Put on the helmet of salvation. And take the sword of the Holy Spirit. The sword is God’s word. 18 At all times, pray by the power of the Spirit. Pray all kinds of prayers. Be watchful, so that you can pray. Always keep on praying for all of God’s people. Your comments make my day! Please share! 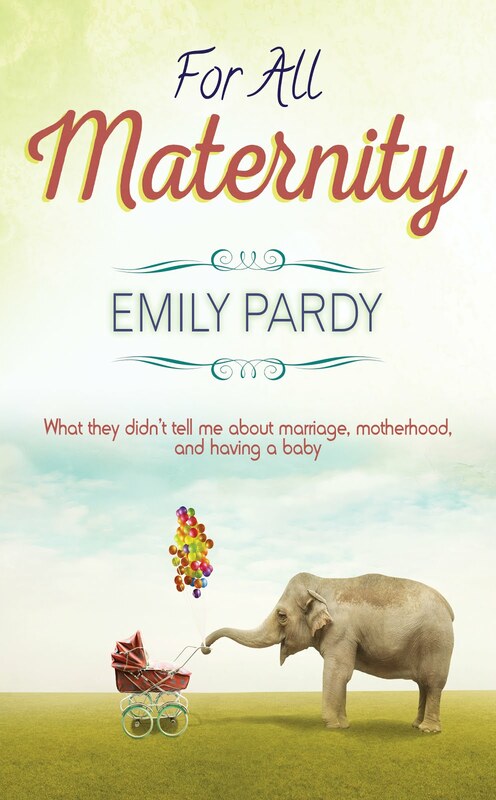 Emily Pardy is a 30-something writer living in Nashville, Tennessee. She has her Masters in Marriage & Family Therapy and loves coffee, Jesus, and her husband. She has three bodacious daughters who bring her constant joy, fear, and everything in between. When she's not writing, she's probably over-thinking her next book or reheating her coffee for the millionth time.